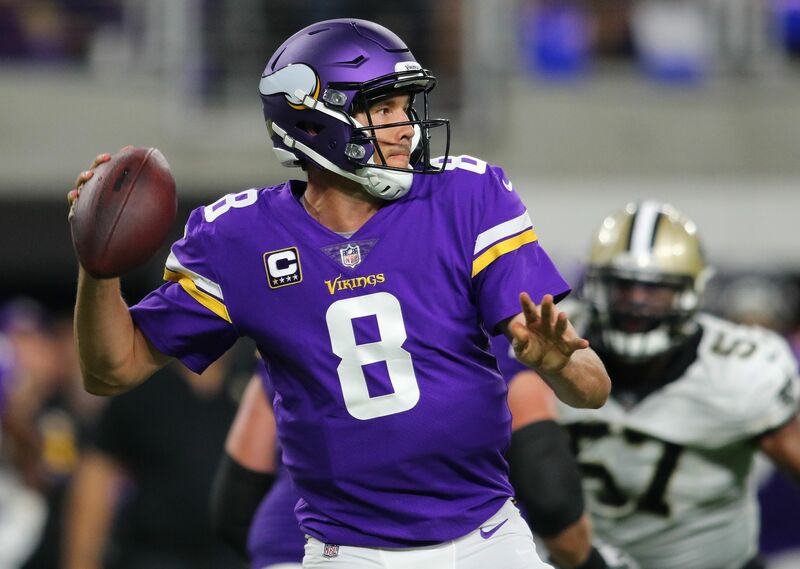 Minnesota Vikings quarterback Sam Bradford play an outstanding game on Monday night versus the New Orleans Saints. With knee issues, will he play in Week 2? The Minnesota Vikings are coming off a strong Week 1 win at home versus the New Orleans Saints on Monday Night Football. Quarterback Sam Bradford was one of the better signal callers of the Week 1 slate. It’s amazing what he can do at the quarterback position if he has a clean pocket to throw from. However, the very accurate passer in Bradford has had multiple injuries that have derailed his promising NFL career coming out of Oklahoma. He had an MRI in the week leading up to the first road game of the year for Minnesota versus the Pittsburgh Steelers on Sunday. Will Bradford’s knee keep him out of the game? It doesn’t look to be so, as Bradford’s MRI was strictly precautionary. He will play on Sunday vs. the Steelers at Heinz Field. Minnesota is a touchdown underdog to the Steelers. Pittsburgh is very much a dominant team at home but will drop a few head-scratching games away from Western Pennsylvania. The Vikings are a team that matches up favorably with the Steelers across the board. Minnesota’s defense is a top-five unit, just like what the Steelers have on offense. Few teams have the defensive line personnel to handle what Pittsburgh has on the offensive line. Minnesota is one of those teams. Since Bradford throws an incredibly catchable ball, he can his team in line for an upset road victory. However, we do need to pay close attention to his limited mobility in and around the pocket. Minnesota is not exactly elite on the offensive line. If Bradford gets, hurt the Vikings’ season is over. Minnesota and Pittsburgh will tee off at 1:00 p.m. ET on Sunday at Heinz Field in Pittsburgh. Which team will start the year out 2-0? Find out on FOX on Sunday afternoon.